How to Measure Women – Are You Doing it Wrong? 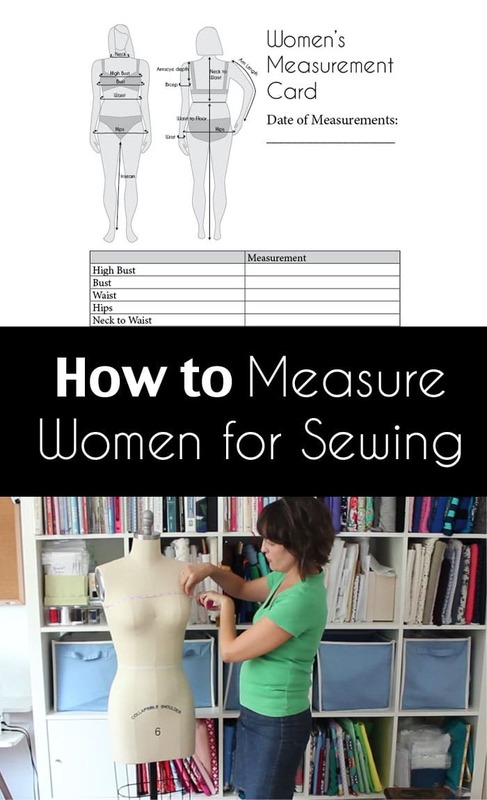 Hey y’all – this month we’re going to be talking about fitting and drafting, and that starts with correct measurements, so today I’m going to show you how to take measurements for women. I decided to make a video about this, because no matter how many diagrams some people see, I discovered in my years teaching that many women measure a couple of key points incorrectly – namely the waist and the hips. I’ll also give some tips on more unusual measurements and why you take them, as well as show you some tricks for measuring yourself. You can watch the video below, or if for some reason it won’t load, you can also watch it here on YouTube. 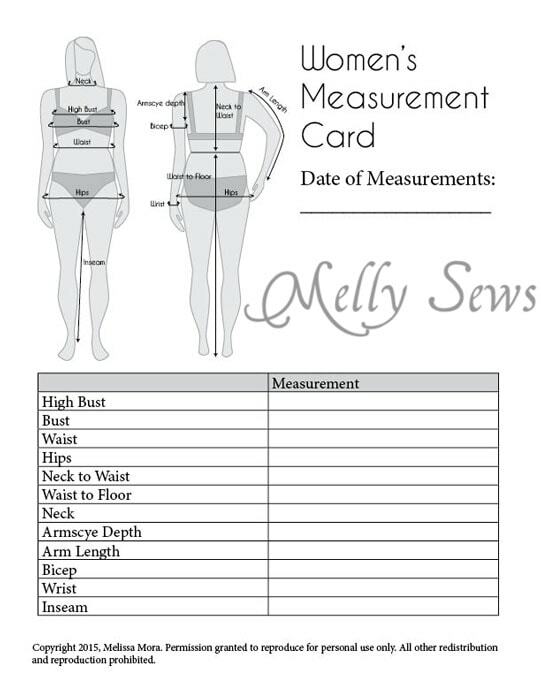 To download the measurement card to write these measurements down for yourself, just click the image below. That will bring up the PDF that you can print. Please don’t share the PDF; instead, share the link to this post and have people come here to get their own copy. Thanks for the video! One thing I would have liked to see is hip vs full hip. These 2 measurements messed me up when I first started sewing. The fullest part of my hip is 4″ smaller than the fullest part of my derriere, which is 2 sizes different when looking up what size to cut on patterns –and also a major issue when shopping RTW! Fantastic, just what I needed. Any chance you have one made up for men? Thank you! Love the video. I was helping a girl who babysits for me make a skirt, just a knit maxi. I said we needed waist measurements. She measured where her hip bones were. I had to convince her it was more up where her belly button was. And then I asked for hip measurements. She again measured her hip bones. She thought I was crazy when I measured more by her bum. I can thank my Mom for teaching me the proper way to measure myself. I learned a few new tricks to make sure things will fit properly for me, but the main measurements I already knew how to do. Thanks for sharing this. 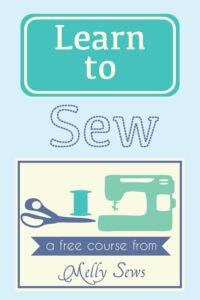 I will pin and make anyone who wants to learn how to sew watch this first! Thank you for creating this! I have been doing my waist wrong. 🙂 I also didn’t know about the armscye measurement either. I always have gaping armholes. This will help a lot! How do you draft a pattern for a stomach that sticks out between under the bust and to the lower abdomen? Thanks SEW much!! Enjoy your weekend!! Thank you so much for this! The reason I want to sew clothes again is that nothing in stores fits. 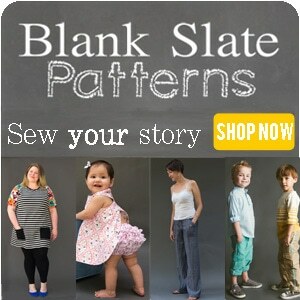 This will really help me as I learn for the first time to alter patterns and get clothes that look the way I want them to. Really helpful. What a great tutorial! Thank you for some really useful tips.